We invite you to enjoy the vibrant night life throughout the Greater Atlanta Area. A-National Limousine knows the best night spots and we know how to enhance your good times with our professional chauffeurs. 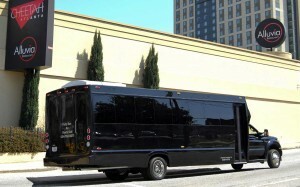 Make your special occasion one to remember with our night on the town limousine service. A-National Limousine ensures that you and your entire party can enjoy a night on the town in the safety and luxury of our Atlanta Limousine Service.